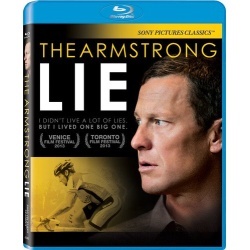 In 2009, Academy Award-winning director Alex Gibney (2007, Best Documentary, Taxi to the Dark Side) was hired to make a film about Lance Armstrong's comeback to cycling. The project was shelved when the doping scandal erupted, and re-opened after Armstrong's confession. The Armstrong Lie picks up in 2013 after Armstrong was stripped of his 7 Tour de France titles, and presents a riveting, insider's view of the unraveling of the greatest deception in sports history.